Departures is a video walk especially made to guide you through the terminal building of Leipzig/Halle airport. 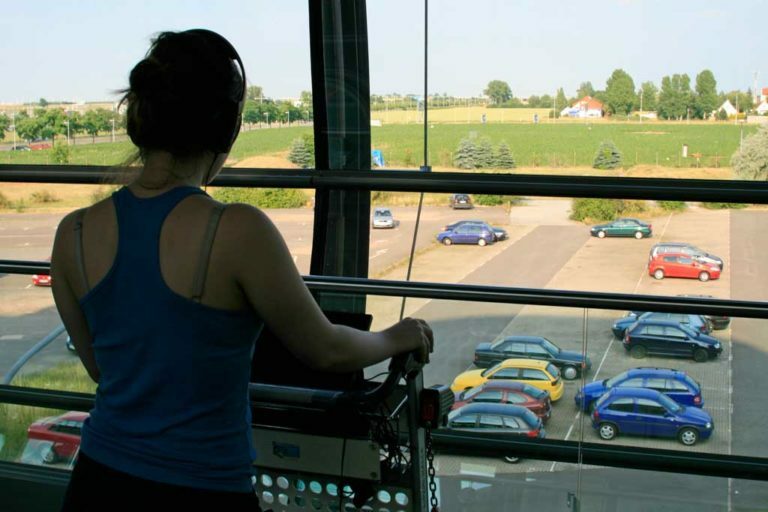 Four specially adapted luggage trolleys are available and once equipped with headphones, the participant is taken on an audio-visual tour of the building they are in with excursions to other places without ever leaving the confines of the airport. A screen on the trolley plays a video that simultaneously acts as a guide, showing you where in the building to walk, and it also acts as a window on other worlds, taking you round the surrounding area and to far away places. Departures uses a specially recorded soundtrack to transport you on an imaginative journey and into unknown territories without ever needing a passport. Departures poses questions that arise if you have ever spent time at an airport without going anywhere. Where do travel agents go on holiday? 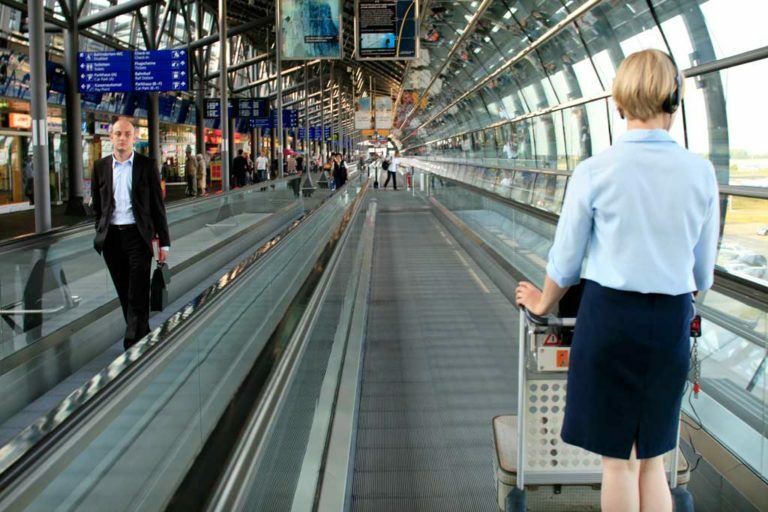 What do you think about when you are on a moving walkway? What will become of this building when no-one flys anymore? Plan b has taken time to try and develop theories to answer these questions; some are plausible and some are wild. The special context of Leipzig/Halle airport has led plan b to also seek stories from the encapsulated village of Kursdorf, which you are taken round without leaving the building. Kursdorf itself is in a state of departure — a slow process of moving, letting go and starting again. Through increased connectivity — trains, planes and the motorway the village is reduced to an island. From the view point of the terminal building plan b try to imagine the future: a shattering of buildings left in Kursdorf and an airport also in flux.